I have been a wedding officiant in Los Angeles for many years, and I have officiated weddings of all kinds, including civil weddings and religious weddings, all over Los Angeles County and Orange County in many Long Beach Wedding Locations. Some of those weddings have been at Wine Crush, a wonderful Southern California wedding venue that you might consider for your wedding. The Wine Crush provides one of the most unique settings in all of Southern California for a wedding. The tasting room and outdoor garden offer a quaint facility for indoor weddings or outdoor weddings. Seating capacity of 75 (standing room of 100). The proprietors are very congenial and attentive and will do their best to make take care of every detail so you will be able to enjoy your big day. 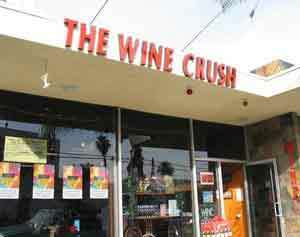 The Wine Crush offers a fully catered buffet menu and wine tasting flights paired with the menu. Of course, you are free to arrange outside catering if you would prefer. They will assist with them decoration including floral arrangements. And valet parking is included so your guest will not have to search for a parking space. 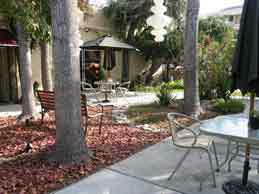 In the outdoor garden, space heaters are provided so you and your guests will be comfortable. This Los Angeles wedding officiant has a special fondness for the Wine Crush and I think you will too. In the event that you and your partner would want to have a wedding ceremony anywhere you want in Southern California, speak to the premier Long Beach officiant. You can easily have the wedding ceremony that you have always wanted. The Officiant Guy is a Los Angeles based ceremony officiant. He has been officiating wedding ceremonies and issuing California wedding licenses for many years for couples in love. Officiant Guy could undoubtedly be your celebrant for any type of nuptials from a spiritual marriage ceremony to a civil wedding together with available add-ons from Filipino coin ceremonies to rose ceremonies. Once you are planning to wed in and around L.A. give the most appropriate marriage officiant in Long Beach a call at (310) 882-5039 or (562) 547-3255 or contact him here.